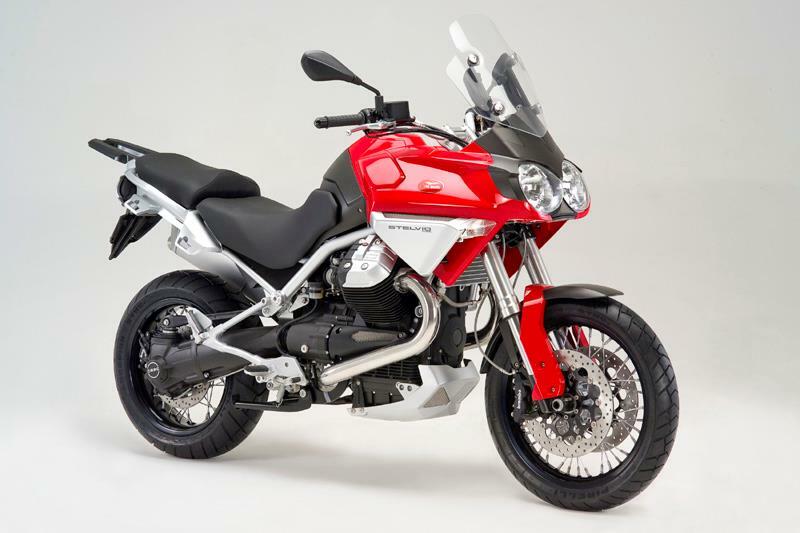 "The new Moto Guzzi Stelvio completes the range renovation programme that, in little over 24 months, has seen this legendary marque regain all its past splendour. What was missing and what the public were impatiently waiting for now is now available in the form of a complete motorcycle. 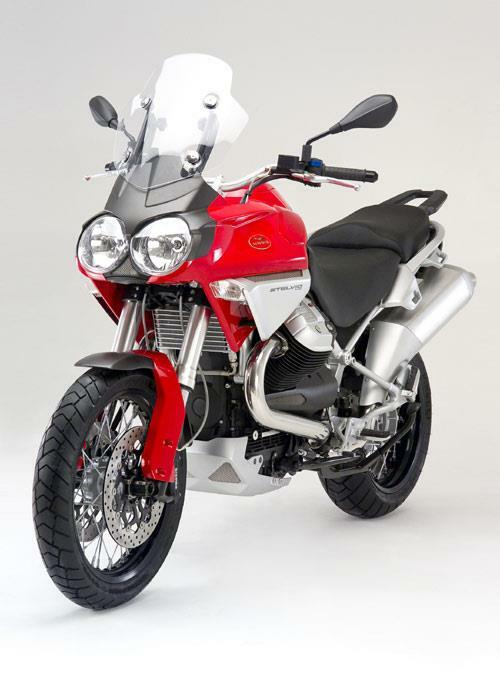 This is the Italian answer to the demand for a multi-purpose maxi-enduro machine that can adapt to all conditions and restore the pleasure of riding. A machine with these characteristics could not have been a descendant of previous models but was created as part of a totally new project. 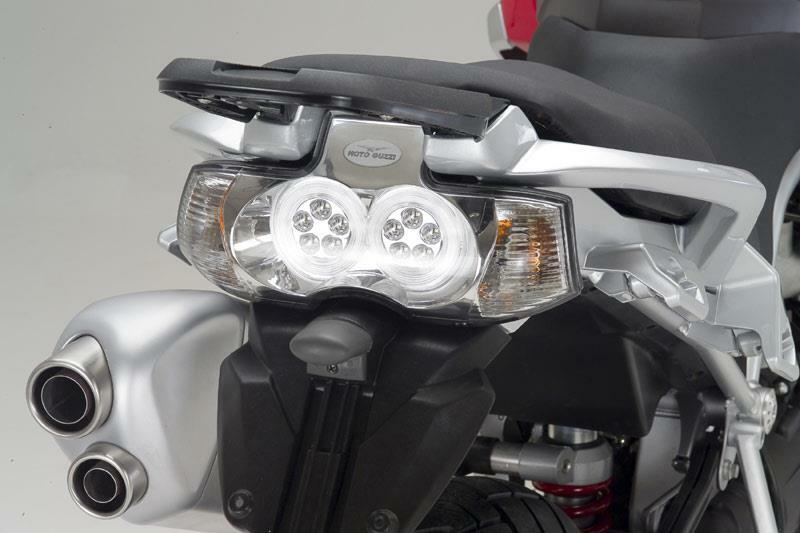 It is the direct result of a long and painstaking research and development programme that involved countless riders of all types and widely differing conditions of use. 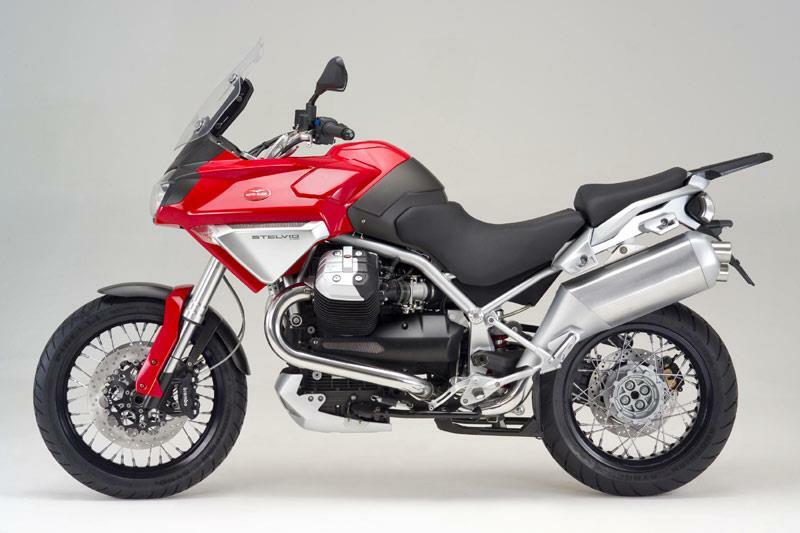 Moto Guzzi undertook this challenge with one particular key element already decided upon: the new "Quattrovalvole" engine. 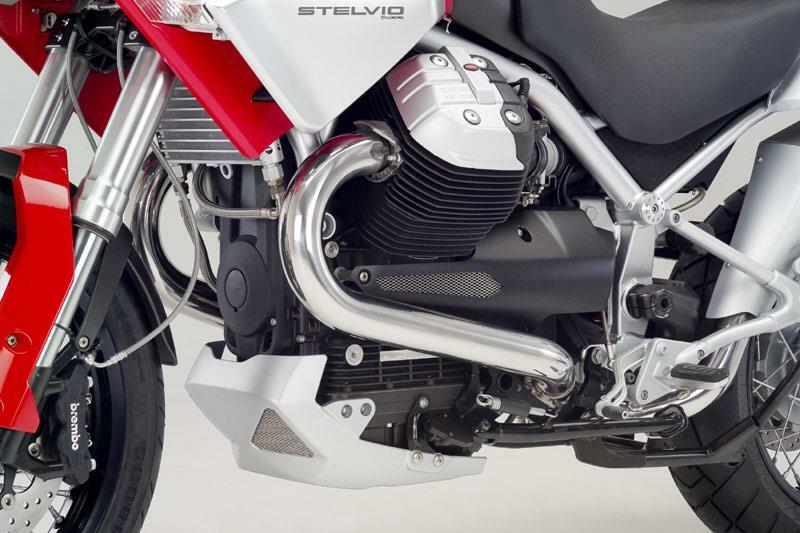 Docile and powerful at low and medium revs, this twin-cylinder, single raised cam transverse unit is housed in a slender tubular frame that appears so fundamental as to make even specialists in off-roading look again. 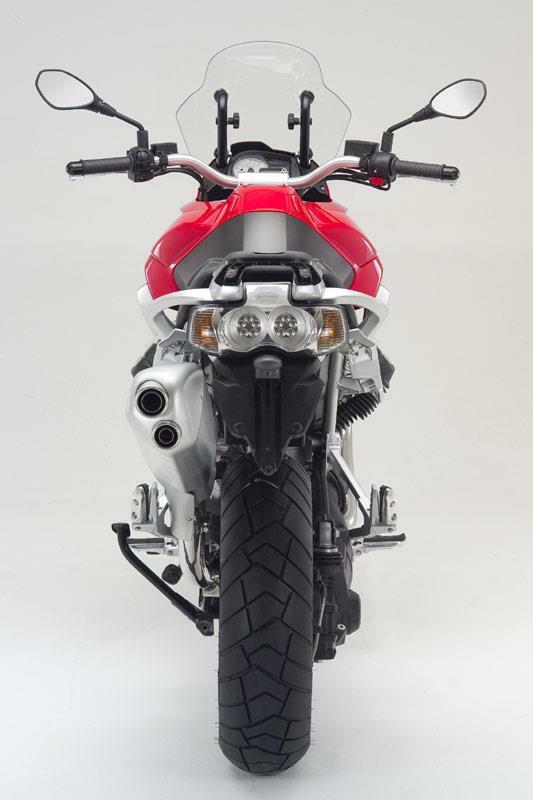 Riders will appreciate the absorption characteristics of the 50 mm upside-down forks and the traction offered by the combined action of the rear single swingarm and the progressive rear suspension system, not to mention the superb CA.R.C (reactive shaft drive) final drive. 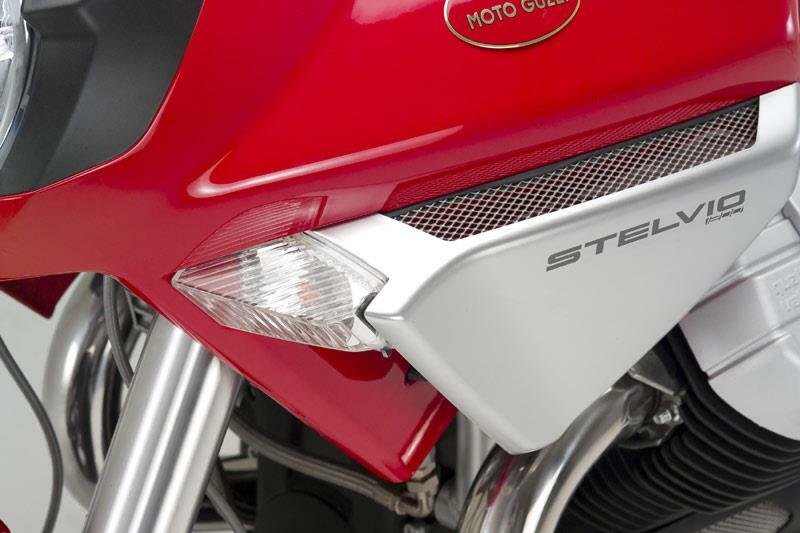 If the fact that the Stelvio is very much at its ease on deceptive surfaces with little adhesion is down to the superb frame design, its decreased weight and smooth power delivery; its vocation as a tourer is highlighted in the many little details that were specifically included to make daily use sheer pleasure. 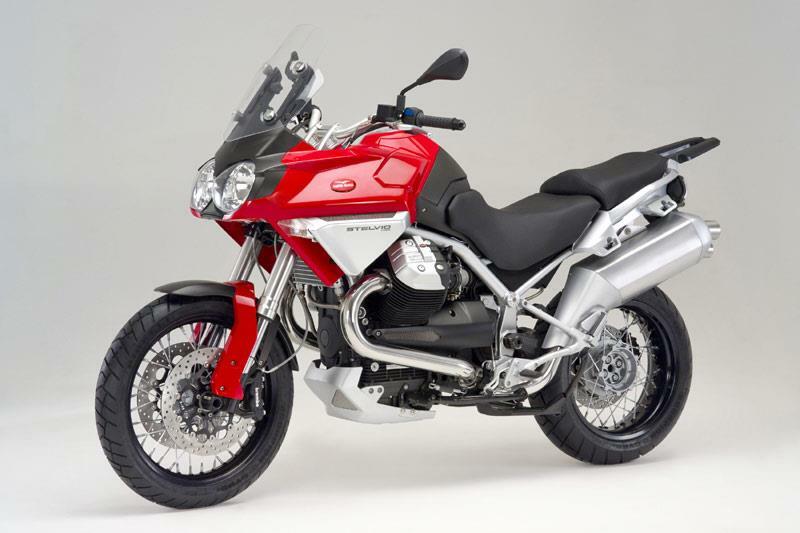 The windscreen and saddle can be adjusted, side bags come as standard and the pillion passenger’s part of the saddle is more than comfortable in both size and shape. 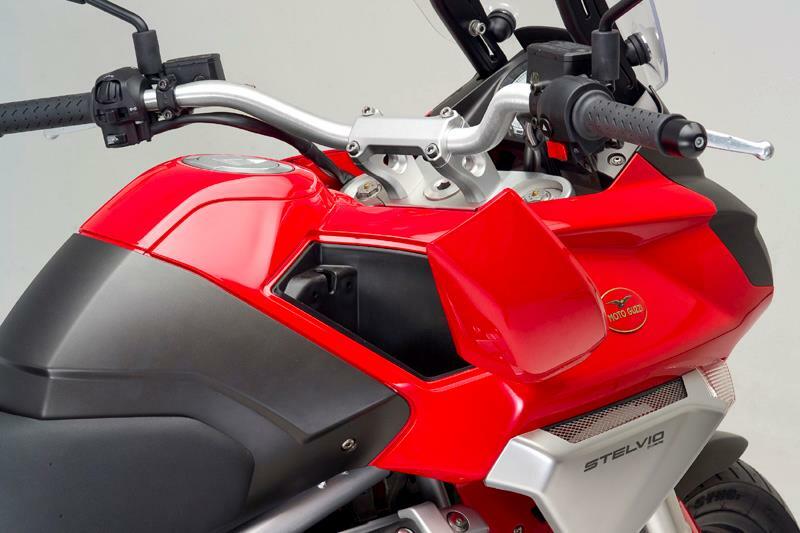 A small storage compartment that can be unlocked from the handlebars has been positioned between the screen and tank. It is the little details that make all the difference and make riding this machine such a pleasure. With over 100 CV on tap, the machine offers superb performance while the sound it makes says it all. It goes without saying that safety is at the forefront with powerful radial brake calipers housing twin parallel pistons. 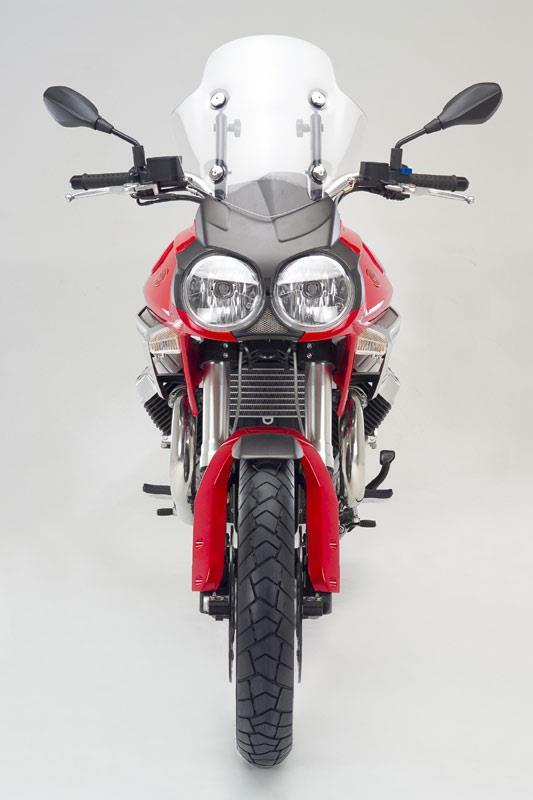 Besides this Moto Guzzi Maxi-Enduro’s performance and technology, there is another element that sets it apart from the competition: its beauty. 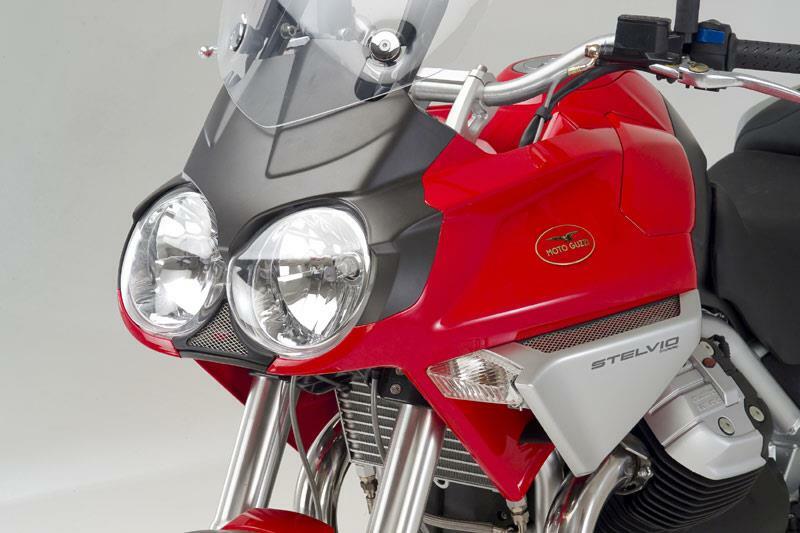 The Moto Guzzi Stelvio captivates with its front end looks and slender profile. 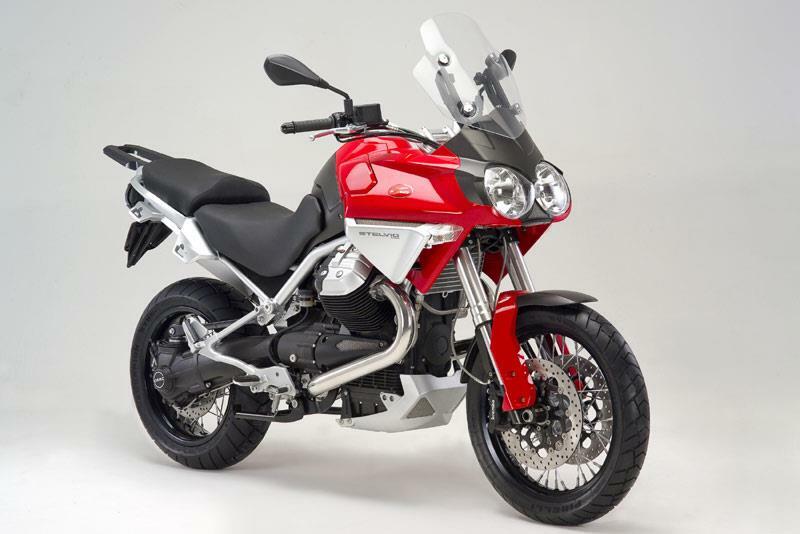 The aggressive Guzzi red or sophisticated white colour schemes catch the eye and are set off by the anodised tubeless spoked wheels."